The 25-year-old, who is currently at the World Cup in Russia, joins on a five-year-deal. "This is the biggest club in the world and I am delighted to be a part of this amazing team," said Fred. "To work with Jose Mourinho, who has won so many trophies in his time as a coach, is an opportunity not to be missed." Mourinho said: "Fred will complement our other midfielders' qualities, which we need; his creative brain and passing vision will give us another dimension to our game." 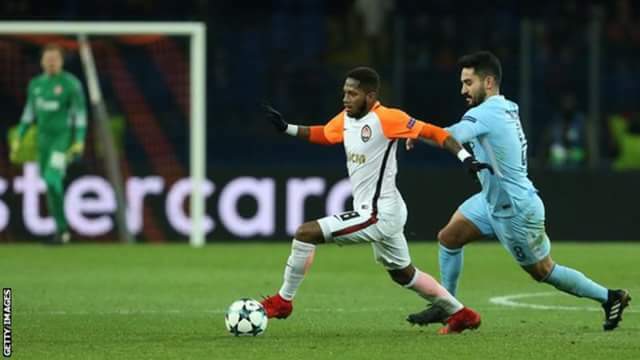 Fred scored 15 goals in 155 appearances for Ukrainian side Shakhtar after joining from Internacional in 2013. During that time, he helped Shakhtar win three league titles, three Ukrainian Cups and four Ukrainian Super Cups.